Turner Sports and Fox Sports One. The Warner Bros. studio and the 20th Century Fox studio. The TBS and FX cable channels. The combinations are tantalizing for a media mogul like Rupert Murdoch, the chairman of 21st Century Fox, whose audacious $80 billion bid for Time Warner was made public on Wednesday morning. 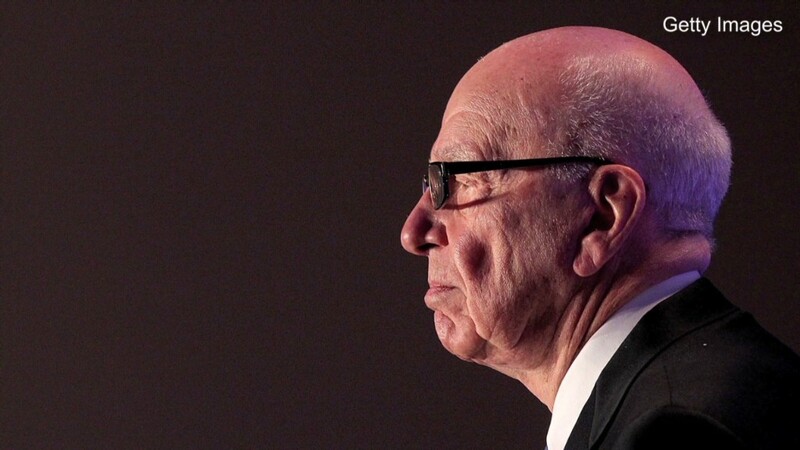 For Murdoch, 83, it could also be a capstone on a fifty-year career of deal-making. Time Warner -- which owns CNN and this Web site -- has said thanks but no thanks. "The board is confident that continuing to execute its strategic plan will create significantly more value for the company and its stockholders and is superior to any proposal that Twenty-First Century Fox is in a position to offer," Time Warner said in a statement on Wednesday morning. The key words there are "any" proposal and "Twenty-First Century Fox." And yet Murdoch isn't likely to give up easily. Why does he want Time Warner? 1. Because bigger is sometimes better. Time Warner is, like 21st Century Fox, one of the biggest media companies in the world. It has gradually streamlined itself in ways that seem primed for a sale. Most recently it spun off its publishing unit Time Inc., leaving three main businesses: HBO, a crown jewel of television and film; Warner Bros., one of the world's biggest film and television production studios; and Turner, which has a portfolio of cable channels including TBS, TNT and CNN. 21st Century Fox similarly has a big film and TV production studio as well as a portfolio of cable channels, including Fox News, FX, and the National Geographic Channel. A combination of Time Warner and 21st Century Fox could have a market value equivalent to The Walt Disney Company and Comcast (CCV). Consolidation among content producers has been widely expected in recent months because of two big deals on the other side, the distribution side: Comcast's pending merger with Time Warner Cable (TWC) and AT&T's pending acquisition of DirecTV (DTV). 2. Because Murdoch might gain more sports rights. Sports is a top priority for Fox. And Murdoch's new cable sports channel Fox Sports One might be able to take advantage of some of Turner's baseball and basketball rights. There wouldn't be news synergies though -- a person with direct knowledge of the overture by Murdoch said that Fox would divest CNN as a part of any deal that materializes. That way, the company would not control both CNN and its rival Fox News Channel. 3. Because Murdoch has a long history with Turner. For Murdoch, some of the reasons might also be personal. Observers have said that he seems to be regaining his swagger after the embarrassment of the phone hacking scandal involving his British newspapers. "He surely doesn't mind getting the subject back to his business acumen and fearsomeness," Michael Wolff, the author of the Murdoch biography "The Man Who Owns the News," wrote in a USA Today column earlier this week. Murdoch's interest in Time Warner isn't new -- in the past, he has sought to buy CNN and has shown interest in HBO. He and Ted Turner, the Turner division's namesake, have a famous rivalry. Turner also once vowed to "squish" Murdoch "like a bug." No doubt Murdoch still remembers.